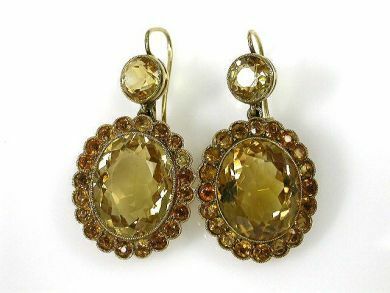 One pair of 18 karat yellow gold drop earrings. Two citrines (24.03 carats). Forty-two citrines (6.71 carats).